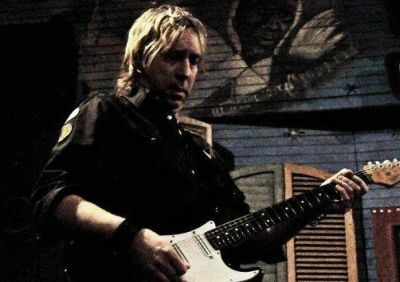 Mike Philippov: Hi, this is Mike Philippov from PracticeGuitarNow.com. Today, I'm live on the phone with Paul Nelson, a very well-known and respected guitarist. with a very rare skill of playing exceptionally well in a broad range of styles. Paul has a lot of experience, both as a recording artist and a performer, as well as being a guitar instructor. So, I look forward to hearing his insights about practicing guitar. Welcome Paul and thank you for doing this interview. Paul Nelson: Hi Mike. It's a pleasure to be here on the phone with you. MP: My first question is how do you practice guitar to develop the confidence for playing well during live performances? How do you deal with nerves before the show? PN: I, like a lot of other guitarists that I've read, that have been posed this type of question, really don't have an answer for that, but I understand the necessity of why students would want to know “Is there a time when you were feeling like I did” (meaning the students). It starts to come natural. At your first show or battle of the bands, or your first performance, you get a little bit of the jitters before you go on, but in my case, once I did it I was hooked. Nowadays, when working with Johnny Winter, he says he never gets it and I never get it either. You don't think - you do. All the practicing you have done ahead of time, all the exercises, all the chordal work, all the sight reading, all the schooling, all the teaching just comes out and that's the confidence. The confidence that you have done the work ahead of time, so nothing really sways you. When you have a lack confidence you realize you didn't do the work to prepare for whatever the situation is. It happens a lot in a sight reading situation, where charts are thrown in front of you, or you are in way over your head because you are just not ready for those type of situations, or that caliber of musicians. But, if you keep at it, it will happen for you. MP: Which guitar playing skills did you have the most trouble developing and what practicing approaches did you use to finally master those skills? PN: Any problem I had, I realized would start off with not being familiar with a certain musical style. In grooming myself as a session guy, I knew I had to play everything. I knew I had to wear different hats for different situations. If music changed, I knew I had to follow suit or innovate. What I did was when I started playing, if I felt I was weak in blues, or weak in metal, or weak in jazz or weak in rock or funk, I would form a band, and find musicians that played that one style and just delve into that musical style. So if it was funk, I started a James Brown/ Meters band. If it was blues - a Stevie Ray Vaughan band, and so on. We would go as far as going to a studio, a lot of people I know own home studios, and we would actually try to recreate the exact sound, and exact ideas for our favorite songs in the studio, and play it back like we had recorded that album too. Through that your own style comes. The familiarity of each style is what helps you along rather than going in there cold. I've got a lot more (session) work out of that, than a lot of other musicians who just play one certain style. That's the kind of musician I was bred to be - not just a one-style guy, which is very limiting. Nowadays you are credited for being versatile. You get to play with more people. You enjoy yourself more. You can make a career out of it, so it’s important. MP: How do you approach the process of warming up your hands before practicing or playing guitar whether it's just practicing at home or before a show? Do you have a regular warm up routine? PN: In the beginning when I first started playing guitar, there were spider exercises where you run chromatically up and down the neck by one string at a time or you cross strings and you work on your alternate picking. I used to do those like crazy when I first started off and that was just to be able to play the notes. Then, years later, I actually met Steve Vai who gave me a ton of specific picking exercises, stretching exercises for each individual set of fingers, 1st and 2nd, and 2nd and 3rd and those types of exercises. Two fret per string exercises back and forth, working up the guitar neck and back down the neck horizontally, three sets per finger. And the big thing I noticed, after doing all those exercises was that if the ear wasn't there to hear those notes that you wanted to play, it hindered your speed and accuracy. The fingers can't play what the ears don't hear. Otherwise it's just guesswork. It really did require knowledge of ear training which I got at Berklee College Of Music, and I got from studying with Steve Kahn, and a bunch of other guys. It really helped me match the speed and accuracy with the ear, and then it all just clicks and starts happening. When I warm up, I listen to music that I like. I'll listen to some Freddie King, or I'll listen to Allan Holdsworth or Jeff Beck. I know a lot of drummers do that, before they go on to play they will listen to Neil Peart or Steve Gadd just to get inspired. It also helps you get out of a rut. Maybe you won’t be able to play like that, but it locks you in the groove. Also a lot of metronome playing when you're home. MP: What were the biggest sources of your guitar and musical education when you were developing your musical skills? You mentioned studying with Steve Vai and going to Berklee, but who were your other guitar teachers or places where you learned from?. PN: I am a big fan of private instruction. I love Berklee. It was the type of school that when you were in it, you wanted to get out, but when you weren't in it you wanted to go back. Everybody was practicing 14 hours a day. But, I am also a huge fan of private guitar lessons. If you can afford it, find the best guys. I went straight to Manhattan and I found Steve Kahn and Mike Stern. Like I said, I found Vai in Boston. Steve Kahn was a huge influence. Music theory opened everything up for me how everything works. Then sight reading - Berklee was great for sight reading, and chords, and roman numeral analysis of song forms and chords, singing modes and hearing modes, that kind of thing. It was also great for meeting other musicians. We had 400 guitar players in one class at one time. MP: In the process of learning to play guitar did you have moments of self-doubt when you compared yourself to your favorite guitar players and wondered if you were ever going to reach their level of guitar playing? If you had those feelings, how did you get past them? PN: I think everybody has self doubt and that is what pushes you to want to get better. Blues guitarists in the past used to cut heads in these smoke-filled clubs. Buddy Guy used to battle BB (King) or whatever. I think it's the gentleman’s sense of competition that makes you excel. I don't know if you ever know how good you’ve become. It's hard for a musician to hear himself. It's kind of like a guitar player, trying to actually listen to music. They always start tearing into the guitar parts, they always start looking for the little nuances. You're kind of doomed. It's hard to kick back and enjoy a tune. I do that - I enjoy it the first time, but when I hear it again, I am already starting to tear it apart: what's he doing and this and that. To know that you excelled, or get out of rut you have to have remain positive through constant practice, metronome work, scale work, and just a great knowledge of your craft. You have to know everything about it and then there's no room for messing up. The thing about guitar players being geniuses to begin with and that guitar playing was already built into them - no, EVERYBODY has to practice. Even Robert Johnson, who “sold his soul to the devil”, if you read his book, he sold his soul to the devil for 2 years, he's stunk, then 2 years later he got better. You have got to practice and that builds the confidence, then it happens. But, you can waste your time with bad guitar teachers, and waste your time with practicing the wrong stuff and learning the wrong guitar tab book, or going up the wrong musical path. The biggest thing is you how to get to where you want to get as quickly as possible and as accurately as possible. You have to really bone up and become a music historian on the stuff you want to play and listen to who influenced the guitar players that you like. You have to go back to the past. MP: How do you go about identifying and correcting bad habits in your guitar techniques as you practice? PN: It all comes through music theory, I believe. Most people say “I play with feel”. Feel is great, but feel is crap if you don't know how to play stuff. You can't pick up a guitar, without ever playing it before in your life and say “Boy, do I have a lot of feeling”, and then pick it up and play guitar like a monster. There's no way. How much of that is feel and how much of that is actual practice? Music theory allows you to analyze your (musical) development, find what mistakes you made, and know exactly where to go back to fix it. It's like fixing a car. If you hear a noise or a ping or something, a “feel guy” will get rid of the whole engine. But a theory guy will say “it's the carburetor or it's a hole in the exhaust and I'll fix that”. It's the same thing with music theory. Music theory guys know if their rhythm is off or their knowledge of chords is off, or if they don’t have a good ear for a certain mode or scale or phrase. Music theory really helps and I can't believe how much it really scares people. It probably scares them when you get into harmonic minor and melodic minor – then people just go bananas. Altered scales and all that kind of stuff, leading into a dominant approach stuff – that gets scary. But the modes and all that - you have to know that stuff. Study Mclaughlin, study Holdsworth. MP: Speaking specifically about guitar technique, how do you practice guitar so that you can play consistently clean and accurately at faster tempos? PN: There are 3 levels of guitar practice. One is called “practice-practice”. And that means, you take scales and exercises and you work them with a metronome, just the way that the little instruction manual that comes with the metronome says how to work it. You work it like a robot. No feel, no emotion, you just “click, click, click, click, click, click, click”. The second guitar practice phase is called “playing practice”. Once you have mastered your scales and you have run them in intervals of 3rds and 4ths and 6ths and 7th and 5th now you want to play over chord changes. Play over a blues progression, play over a I vi ii V, play over a ii V I, play over modal changes. Now you are loosening up a little bit, but you are still playing over something purposely. So then you get ready for guitar practice part 3, which is playing with people. This is where the soul and the emotion comes in, and you play by feel. But soul and emotion and feel don’t come into play until you have all of that militant guitar practicing under you and that's what allows you to add the soul and the feel. You can't play a riff you learned off a CD, with soul and feel, until you know it very well, then you play it with soul and feel, and put your own interpretation to it. MP: I noticed a lot of guitar players get stuck in either the 1st or 2nd or 3rd method of practicing guitar you described. Few practice all three together, which is important like you point out. PN: Yeah, bingo. Because after practicing all these picking exercises, and the long extended modal positions, and the alternate picking, the efficiency picking, the arpeggios, if you can’t put it in a song and play over changes - you can't play! You can sit there and impress yourself, but you can't play with other people. If you don't know how to play over a major, minor or dominant - the three main families of music, you are screwed. But there are other guys who actually practice arpeggiating through a series of changes, which is good. You have to have chords playing in the background, or some kind of beat box, or some kind of rhythm going, so that it feels more like a natural guitar playing situation. Otherwise, if you just play freestyle, or practice freestyle, there's no point of reference to keep it in the groove when you play with a drummer. MP: What is the process that you go through to practice memorization of songs or guitar solos? How do you practice so you don't forget your parts on stage, or when you play guitar in the studio? PN: It's constant repetition. It could be cramming the night before. It could be cramming an hour before or a week before. There have been situations when I had to learn 40 songs, for one show, a week away because the guitar player backed out, or hasn't gotten a visa to cross over the country. So I've gotten the call: “can you do it?” So I've developed a shorthand system to write out song forms, to cue me for certain shapes. So it's repetition and that's the only way I memorize. The more you repeat, repeat, repeat, the more you will have it ready for the gig. However, when you cram like that, you have to be careful or it won't stick if you only play the songs once at a gig. If you get the gig and then you play those songs more and more, then it becomes a part of you. A lot of people learn something and then go to something else, then go to something else and you don’t retain anything. You've got to be careful of that too, because you want to have it stick. The answer is that it is repetition, period. Everybody knows that's what you got to do. That's why you have guitarists sitting in a room for hours, and hours, and hours, and in their studio over and over again, driving everybody nuts. MP: When you first started out playing guitar what goals did you have for yourself when you first began playing? How did those goals evolve for you over time? PN: My goals, like any other guitar player, were to sound like the cool guy on the CD. That sound, that roughness, that when you listen to it you get a chill up your spine. I used to think, “Man, if I could play like that…”, and it was just like a drug, depending on who you were listening to at the time. You were looking for guitar players who could get into your head and psych you into playing like that, then it just drove you. Listening to Randy Rhoads, or Eddie (Van Halen), Allan Holdsworth, or Jeff Beck or, Michael Schenker, or Yngwie or Stevie Ray Vaughn. Each guy does that. That's how you know that a guitar player is great, because he gives you that feeling. You strive to be like that. When you get that down you move to somebody else. The best guys are the combination of many artists, as you know. Vaughn was Albert King and Hendrix, Hendrix was Muddy, and Buddy Guy, and T-Bone. Even Johnny Winter, he is like a million guitar players because he listened to so many different guys. MP: Do you believe there is a particular guitar playing skill that somebody must always practice and improve on a regular basis, regardless of how good they become as a guitar player? PN: Picking is very important. Whatever style of picking you do, it’s important. The best thing I have found is always going and buying CDs from the past. They are a little slower and a little easier to pick up. Always put some blues into your playing, so your stuff doesn't sound too stale. The blues, I think, is what actually puts emotion into your playing. As wild as Yngwie is, and those type of guys, the minute they would do whatever they did, and switch for a second into a cool bluesy run, you would say “that's cool”. Eddie Van Halen, all the hundred great guitar players in Rolling Stone, all those guys had great blues-based ideas. And you really always have to go back and listen to Muddy, and a little Walter, Chuck Berry (if you can handle it). A lot of this stuff is really old and hard to listen to, but if you want to learn slide (guitar) for example, you have to listen to Muddy and Robert Johnson. Not just listen for a couple of seconds and then say, “Okay, I listed to Johnson, now I know how to do it”. You really have got to delve into that and make it a part of you, to get something out of it. That's what all the guitar players who are great did. On a regular basis, yes, go back. It's okay to learn stuff from the guitar players who are current, but listen to the guys they listen to and that will put that extra juice into your guitar playing. Discover the best way to solve your guitar playing problems - learn how to practice guitar to get HUGE results.